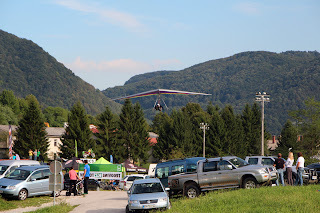 For the first time we did a speedgliding event in Tolmin. Friends who where organising Soča Outdoor festival where happy to invite us hang glider pilots to make something new at event. Th eidea was to have two virtual cylinders one on castle top above Tolmin and one in center of Tolmin with goal at official landing. 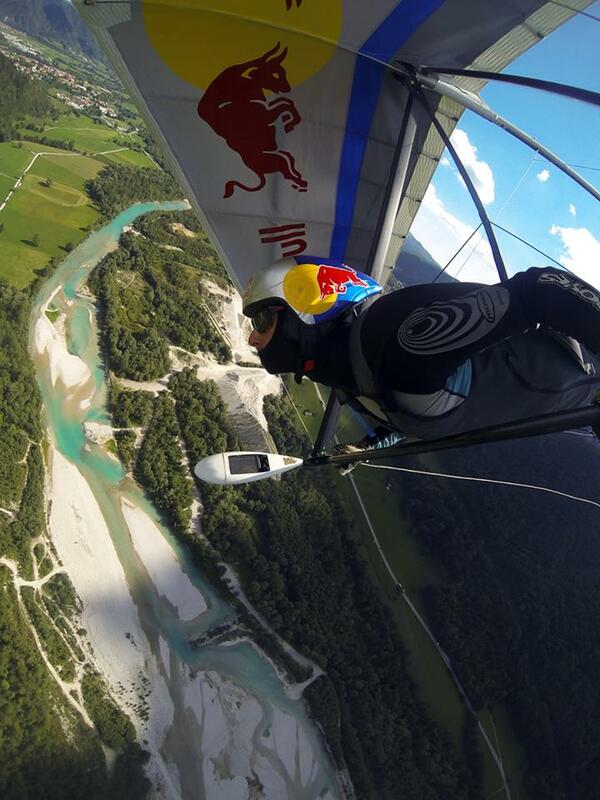 The weather seemed perfect for the race, a bit strong wind on take off but September already killed most of the "lively" air, so we had quite a smooth run down. In the end only 5 pilots showed up so we changed the mode gear from competitive to show and fun. I made a goal line right after the festival area so we had to zoom in over people at 4pm when there where lots of spectators there. Stanko did it so fast that he in the end missed the castle, first turnpoint :D From there on it was just pure show for the people. I took of did, the castle and then went of another one which was far far far, I had to slow down a bit to make it to the line just 3 meters above the ground. Seems like I should not listen to our smart guys as my turnpoint would work out great. It was nice to hear people cheering for the pilots when they came low over their heads and speaker who was explaining to the people what we are actually doing. In the end best time was from Franc but he never looked at the gps so we have him on suspicious line :D Second was me and then Alan. I got a nice feedback from people that it looked nice. They only see us from far away but having a chance to listen to the glider at top speeds was something new for everyone. at their two paragliding competitions with my video and picture skills. First there was German open and then Serial Cup last week. Specially Serial Cup stayed in nice memory as it is kind of different format of the competition. Fun like, with a note to give knowledge of best guys forward. 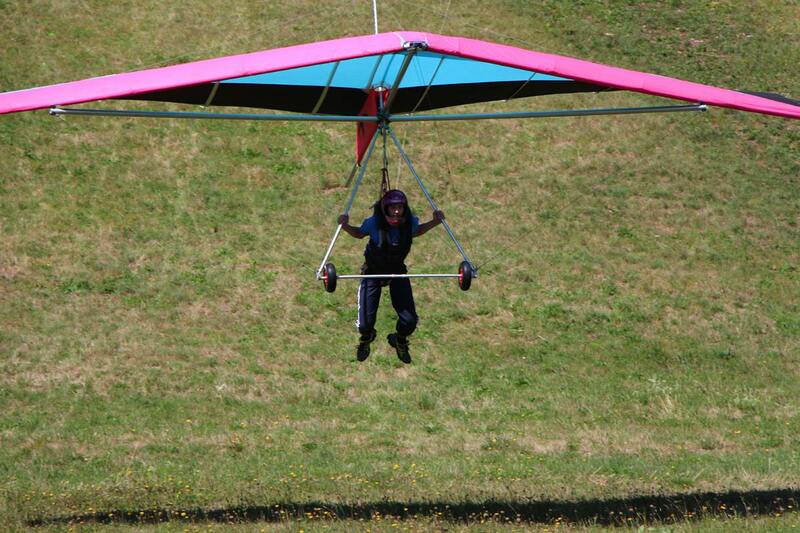 Few best pilots sat on more slower school gliders and where marked with a plastic rope behind them. In the evenings each of them prepared a lecture for the new upcoming pilots. It was nice to see the organisation from this point of view. 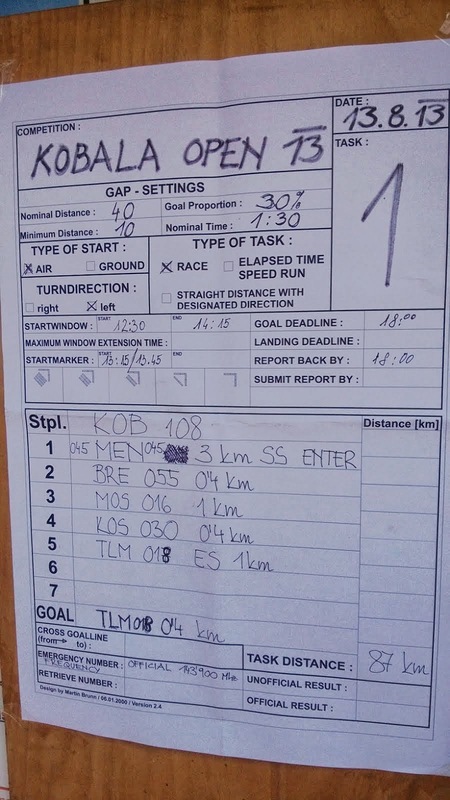 Gasper the organizer has miles behind him in this business and you can see that straight away. FAI 2 cat competition, but organized nearly like FAI 1. 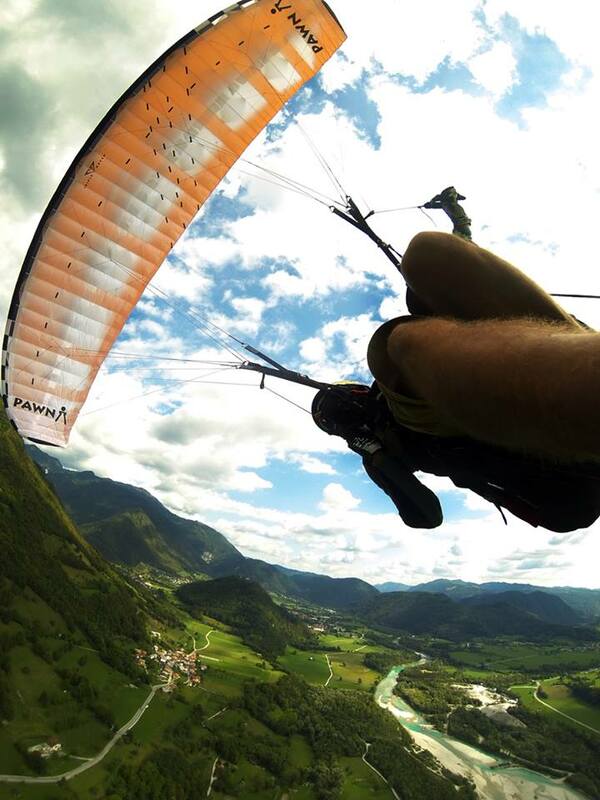 When I left the thermal, normally I hit the sink, but with my hg wing I just pull in and get out, here I was stuck in this sink for seconds and was already pulling my legs out at 200 m over the ridge :) You just need to get used to the new feelings. 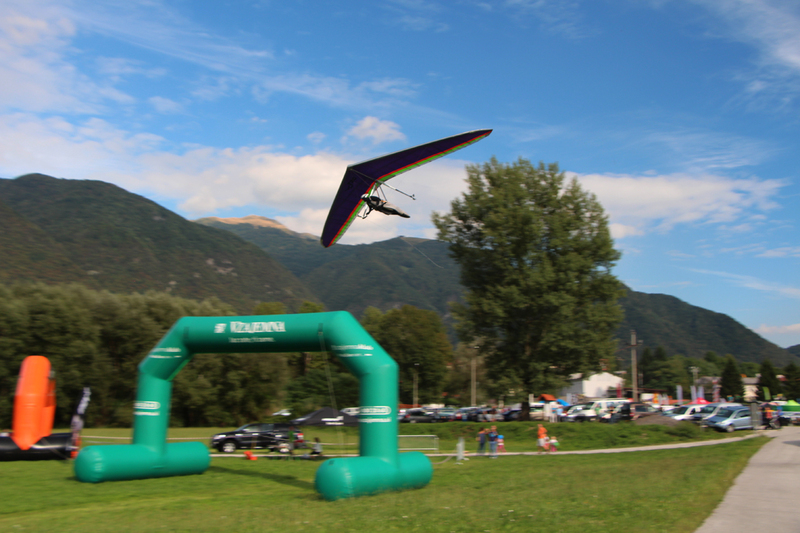 This weekend we will have a small speedgliding event in Tolmin which I will organize. 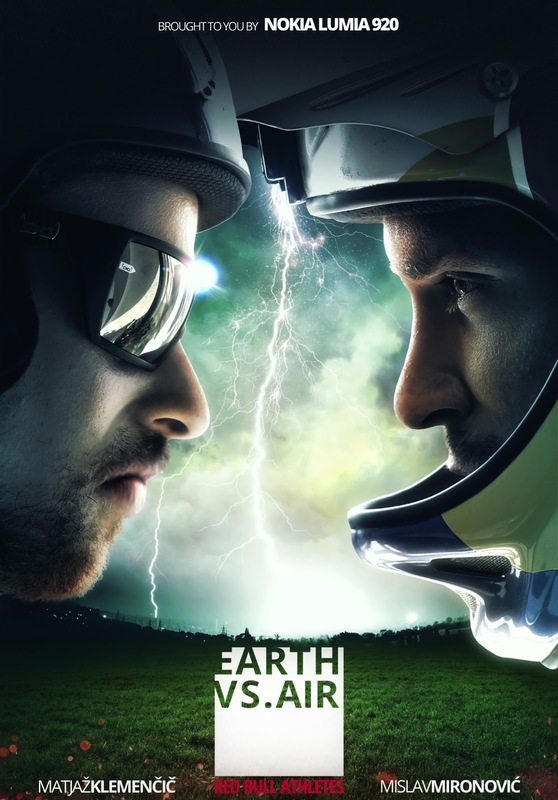 I hope there will be enough curious people watching it at the landing as there is major party afterwards at Soca Outdoor Festival. 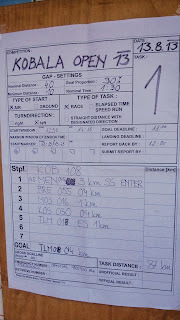 We had a short 78 km task today, because front was coming later in the day. Conditions where quite strong and turbulent but many pilots made it to the goal after the task that ran up and down the valley. 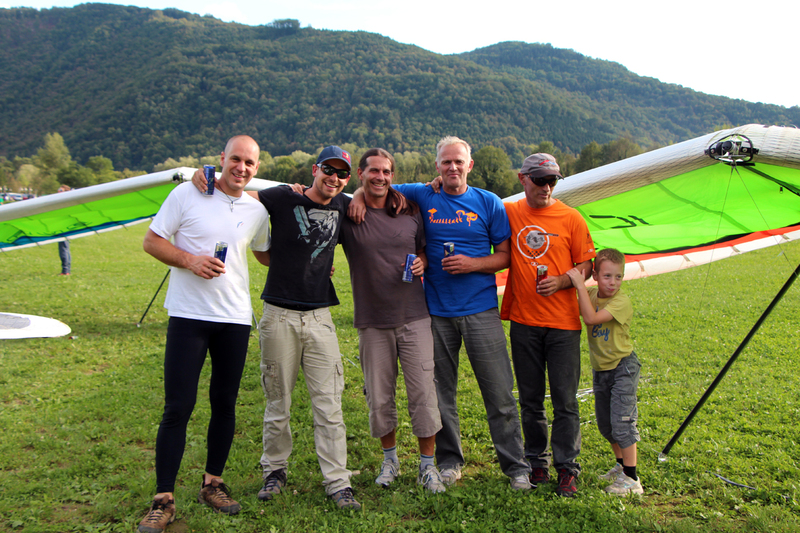 We formed a leading group of four pilots and finished the task quite fast. 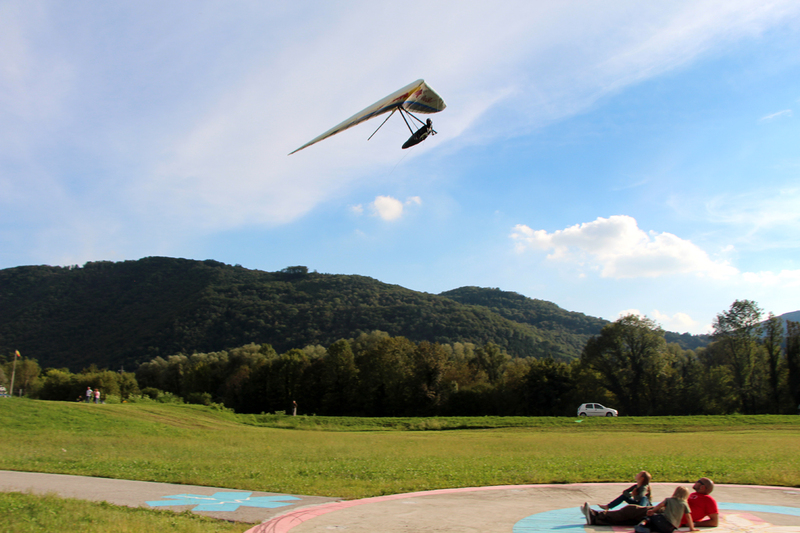 Franc was first, Iztok was second, my mistake after gliding to slow in unpredicted conditions but I should get quite some leading points.